Abduction Researcher Who Discovered Alien Abductions? 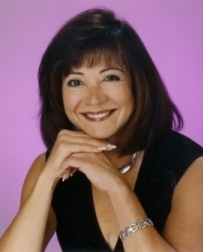 Yvonne Smith is a hypnotherapist, certified by the Hypnosis Motivation Institute, the first and only college of hypnosis in the United States to achieve national accreditation. She has been working with alien abductees since 1990. Yvonne also manages an investigative support group for abductees. She is the founder of CERO, which stands for Close Encounter Research Organization. CERO is an organization that provides a safe haven for those individuals who have undergone alien abduction experiences. Investigating your own series of alien abductions is not to be taken lightly. As Yvonne says, "The decision to begin investigating troubling dreams or sketchy memories is one of the most important decisions you will ever make in your life. If you learn that you have, in fact, undergone abduction experiences, this knowledge will ultimately change your life, including your relationship with your family and friends." Some of the most compelling evidence of alien abductions comes from medical case histories. This evidence includes X-rays, photographs of unexplained marks, scars, and deep bruises. One of the best collections of photographs, X-rays, and case histories belongs to Yvonne Smith. If you want help or more information, you can contact Yvonne or CERO at (818) 957-3602, PO Box 131, Verdugo City, CA 91046. 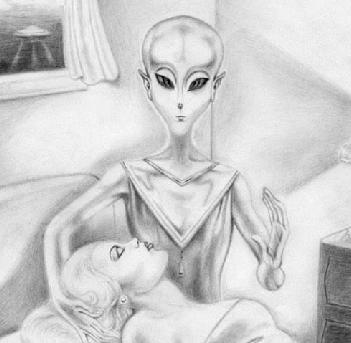 How come people only remember this alien abduction stuff when they are under hypnosis? Hypnosis is a critical subject when discussing alien abductions. Many abductees (but not all) only recall their experiences while under hypnosis. What prompts researchers to use hypnosis on these subjects is that they experience missing time and other strange things I will discuss below. First of all, to the general public hypnosis appears to be a strange thing. Many people don't believe it's real. Even the legal system and our courts of law cannot all agree on its validity. To many of us, our only experience with hypnosis is watching a hypnotist on TV or in a nightclub making your friend get up on stage and act like a chicken! We end up not knowing what really happened, or if anything really did happen. Besides, your friend is goofy and a show off anyway. Second, hypnosis and its practitioners have come under fire recently for the use of hypnosis in investigating sexual-abuse cases. It has been charged that some therapists have imparted false memories of childhood abuse in patients during sessions of hypnotherapy. This is known as FMS, or False Memory Syndrome. As a result, the public questions even more the validity of using hypnosis to recount actual experiences. I will also mention here that there has never been a single alien abduction case that has turned out to be a masked history of sexual abuse or other traumatic cause. If you have a computer or know something about them, then you know what hardware is. It is the computer itself, or the actual machine. You also know that software is the program or set of instructions that actually does the work. A computer has an operating system. Common operating systems you may have heard of are Windows 95, OS/2, UNIX, or any of the Apple Macintosh operating systems. The operating system is simply a set of electronic instructions that lie underneath the software instructions. You don't see them, but they allow the software to do its work. They are simply a series of commands to control electrical impulses. Your brain is also a computer. It has a series of underlying electrical impulses, and you have your own built-in operating system. In both cases you can go into these underlying programs and get out data that is not normally visible. However, it is really there, and it is real data. Hypnosis simply accesses your own operating system. The information there is as real as you are. In fact, it is you. Please keep this in mind when discussing alien/human interaction. Aliens, for the most part, only interact with humans on an operating system or subconscious level. It is at a different frequency we don't experience at normal consciousness. Think of it like attending a concert where all the instruments are dog whistles. You would need a special receiver or have to bring your pooch in order to appreciate the tunes. That receiver would have to convert the frequencies to ones you could hear. Well, your brain is a receiver and our alien visitors know how to access it and tune it, but you don't, and the only way you can recall the music is to pull it up from your operating system through the use of hypnosis. Let's say Joe recalls under hypnosis that he was lifted into an alien spacecraft. He recalls being in a room and on his right is another person whom I will call Bill. When Bill is hypnotized separately he describes Joe exactly and the fact that Joe is to his left. When Joe is hypnotized he recalls that Bill is on his right. That is, their positions are respectively correct, and this is the case time and again when Bill and Joe have never met! Later when they do meet, they are shocked because they each remember the other even though they both agree that they have never met before except during their shared, remembered experience on the spacecraft. This kind of experience occurs over and over again with alien abductions. This differs significantly from other hypnosis-recalled experiences such as many child-abuse cases where usually there is only one person with the remembered experience and no other people who can share or confirm it. In fact, events recalled under hypnosis are more accurate. They are not filtered by the subject's judgements or denial. If you take a group of people who witnessed a crime, any detective will tell you that each person will have a different version. Each filtered the incident through her own perception. If you hypnotize all the witnesses, their accounts will fall more in line with one another. Things recorded at the subconscious (operating system) level are more accurate, not less. Many times when an abductee is hypnotically regressed the first couple of times he has vivid memories of seeing animals such as deer or owls with very large eyes. Abductees will also report just seeing eyes floating in midair in addition to other nonsensical memories. These are screen-saver memories, just like a screen saver on your computer. They are used by the alien beings to camouflage the true experience the abductee had. The true experience was recorded, but the hypnotist must be experienced enough to dig beneath the temporary screen saver. Are These Aliens Trying to Take Over the Planet? No. Based on their technology, they clearly could if they wanted to. A case could be made that they are not trying to take over the planet, because they already own it! However, just discovering bits and pieces of these activities could cause a tremendous amount of fear and anxiety in people just now hearing about this for the first time, or for those realizing that all those vague reports that aliens actually exist are in fact, true. From an observational standpoint, it appears the aliens are conducting a massive, long-term project involving many different aspects of humanity. These include but may not be limited to: our emotional, physical, and sociological conditions. The project involves genetics, as well as neurological and gynecological procedures. They have also imparted messages that we as a race of people need to be much more aware of the conditions we create on our planet because it affects not only our planet, but other portions of the universe as well.